Music writer David Hepworth’s recent book, Uncommon People: The Rise and Fall of the Rock Stars, pronounces the era of the rock star over. Nirvana’s Kurt Cobain – who committed suicide in April 1994, a week before Oasis released their first single, Supersonic – is described as “possibly the last one”. 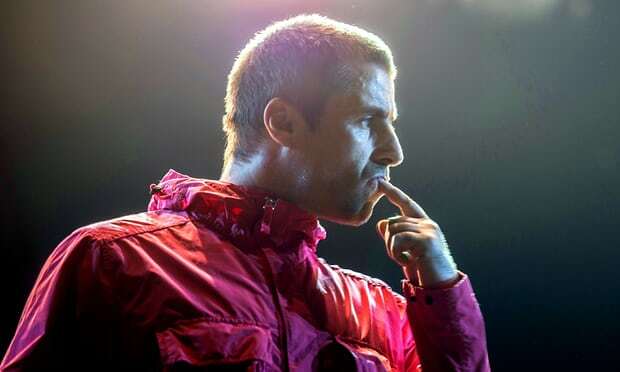 If this is so, nobody appears to have told Liam Gallagher. The former Oasis frontman struts on, all swagger and attitude, as if fresh from an argument with a traffic warden. His first words to the crowd rejig the Beatles’ I Am the Walrus: “Hiya, you are Leeds and we are all together.” He kicks a fan (of the mechanical, not audience, kind) and starts singing: “Tonight, I’m a rock’n’roll star.” And for the next 90 exhilarating minutes, he is exactly that. Being able to draw on an era-defining Oasis classic such as What’s the Story (Morning Glory)? as early as the second song certainly adds a frisson. But when people – many half his age – gawp up at Gallagher in the same way small children gaze at a T-rex skeleton in a museum, they do so in the knowledge that we may not see his like again: a rock singer whose band rocketed from playing to the bar staff at the nearby Duchess pub to Knebworth, and the biggest gigs of the 90s, inside three mercurial years. With his voice recovering a long lost octave, the likes of Some Might Say and Supersonic are roaring jets, but the solo songs hold their own. With Gallagher’s voice a perfect mix of two Johns – Lydon and Lennon – they are either spikily vitriolic (Greedy Soul, You Better Run and Wall of Glass) or more wistfully emotional (Bold and For What It’s Worth). The last – reputedly an apology to ex-wife Nicole Appleton and already a crowd singalong – is as great an anthem as he has sung in 20 years. He then turns impeccable curator of his catalogue, turning a 1995 B-side, Rockin’ Chair – surely the greatest “lost” Oasis song of all – into a reflective celebration of survival. Be Here Now is recovered from the scrapyard of lesser-loved later Oasis songs and turned into a showstopper, with the crowd boosting the “yeah yeah yeah” refrain. The audience erupts for the encore of Cigarettes and Alcohol, and the line “Is it worth the aggravation, to find yourself a job, when there’s nothing worth working for” sounds as relevant as ever in the era of zero-hours contracts. Live Forever is delivered in a beautiful new arrangement, complete with cello. Then, with the house lights up, Sid Vicious’s version of My Way blaring out and the crowd filing out, Gallagher suddenly bounds back on. “Had you there, didn’t I?” he cackles, and delivers a perfect Wonderwall before exiting as he entered, applauding the applause, and every inch the rock’n’roll star.